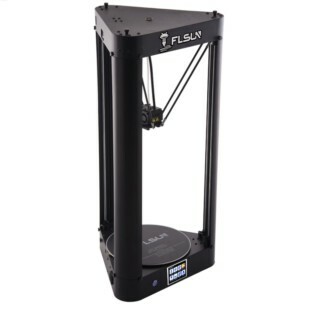 The FLSUN QQ-S 3D printer is an upgraded version of its predecessor - the QQ. Join us as we dive headfirst into the specs and review all we know about this 3D printer. Only roughly half a year after the release of its predecessor – the FLSUN QQ – the Chinese manufacturer has released a slightly upgraded version with some changes and updates – the FLSUN QQ-S.
Just like its predecessor, the QQ-S is an affordable Delta printer. For all you seasoned 3D-printing veterans out there, you all probably know, what constitutes a Delta printer. In case you are fairly new to the game though, here is an informative overview of the different 3D-printer shapes, technologies, and sizes. In short, Delta printers are characteristically equipped with a circular print bed. The extruder is suspended above the print bed by three arms in a triangular configuration, thus the name “Delta”. Generally, Delta 3D printers were designed for speed, but they also have the distinction of a print bed that never moves, which may come in handy for certain print jobs. 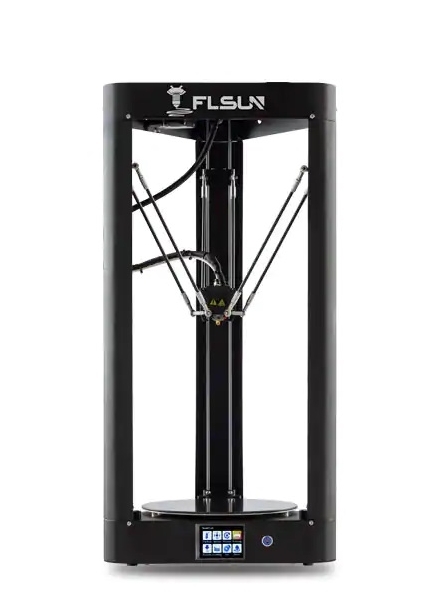 According to the manufacturer, the FLSun QQ-S now features a Titan extruder, a lattice printing bed, and a 32-bit motherboard. Let’s take a look at what these new features might have in store for us. First and foremost, FLSUN promotes the QQ-S’ new Lattice Plattform, supposedly a high-strength lattice composite coating, which allows for fast heating and less warping, as well as providing a strong adhesion during the print and to be easily taken off, once the print is completed and the bed is cooled. This strongly reminds us of the Anycubic Ultrabase. The appeal of a high-tech glass bed is very clear. 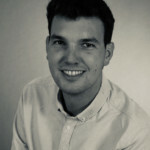 By releasing prints as it simply cools off, there should be no more need for scrapers, hairspray, glue sticks and the mess they make when using them. According to the manufacturer, the printing bed reaches up to 100 °C in less than 5 minutes, allowing for the most common filaments to be used without any problems. As it is a Delta printer, and therefore has a fixed – nonmoving – printing bed, it only needs to be auto-leveled once, making it especially feasible for beginners. 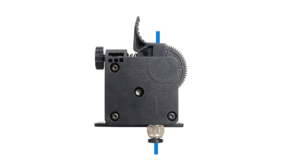 Another novelty FLSUN promotes for the new QQ-S is the Titan Extruder. At first glance, the extruder looks like the E3D Titan Extruder. Unfortunately, the manufacturer does not give any more specifications. The extruder should allow for smooth feeding of filament and powerful extrusion. Equipped with a 0.4 mm extrusion nozzle by default, it can also hold 0.2mm and 0.3 mm nozzles, allowing for finer prints. With a maximum temperature of 270 °C, the QQ-S is set to handle all common print filaments such as ABS PLA, PVA, and wood. But also flexible materials, as well as HIPS support materials. 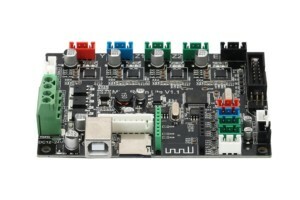 The controller board is the brain of any 3D printer, responsible for orchestrating components like the extruder, heated bed, motors, and sensors. So the more power you got in there, the smother the printer operates. While its predecessor – the FLSUN QQ – operated on an 8-Bit Arduino Mega 2560, the QQ-S is equipped with a 32-Bit motherboard and a separate MOS module, allowing for stable prints even at high printing speed. In the product description, the manufacturer is tight on any further technical information as to what model is exactly used to operate this printer. However, thanks to some customer Q&A’s, the supposed motherboard used is a 32-Bit Robin Mini Board. Equipped with a touchscreen and Wifi connection, it can resume printing from the breakpoint, save in case of a power outage, detect filament outage, and turn auto-off after printing finishes. All in all, it’s pretty much all you can ask for from an operating system. Full metal frame: The printer is fully made out of stainless steel (SAE 304), allowing for less wobble, and therefore more accurate prints. Quiet printing: According to the manufacturer, the QQ-S has an operating-noise of less than -50 dB, making it suitable for workplaces. However, it does not feature an enclosed printing chamber, so depending on the materials used, you should watch out for toxic fumes. Printable materials: PLA, ABS, flexible, HIPS, wood, PVA. 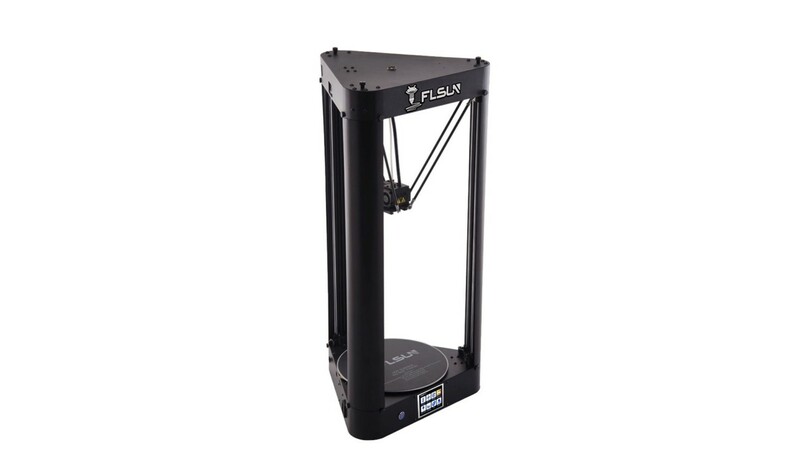 License: The text of "2019 FLSUN QQ-S 3D Printer – Review the Specs" by All3DP is licensed under a Creative Commons Attribution 4.0 International License.